2 simple and effective major blues licks to help you bust out of the pentatonic box and play hot blues solos. 5 must-know arpeggios that make it simple for you to play musical guitar solos without hitting any wrong notes. How to create your own blues solos from scratch. So you never hesitate and have the confidence to jam with any group of musicians. DVDs Shipped FREE to USA. $4.95 shipping charged for Canada. $29.95 shipping charged for International. How to create thrilling licks for your guitar solos even if you don’t know scales. 3 must-know soloing tricks: sliding, bends and open string tapping that will help you create head-turning guitar licks from scratch. 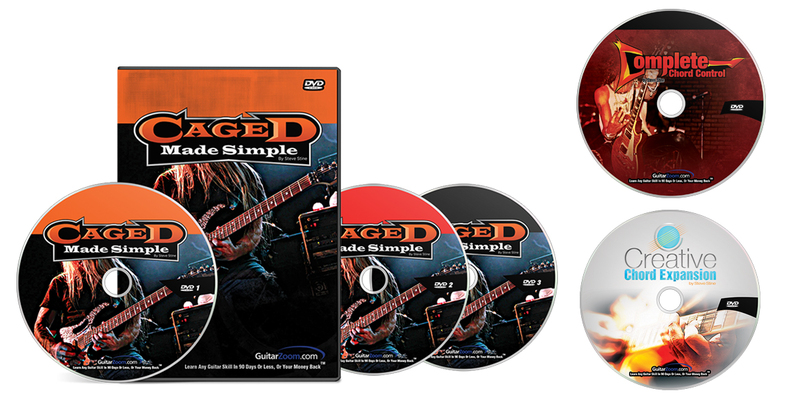 Easy rock patterns to help you play awesome guitar solos that sound totally original. The secret whole, half-step formula that makes it easy to play songs in all 12 keys without using a capo. The critical difference between major, minor and diminished chords, so you always know what chords sound good together. 3 simple chord progressions that will allow you to play thousands of songs by ear without having to look up tab. How to play chords across the fretboard using the CAGED system. So you never get stuck in first position and have the freedom to play songs anywhere on your guitar neck. 4 simple tweaks you can make to basic chords that will triple your chord options and spice up your rhythm playing. How to play chords smoothly and comfortably. So you can avoid fret buzz and unwanted string noise. 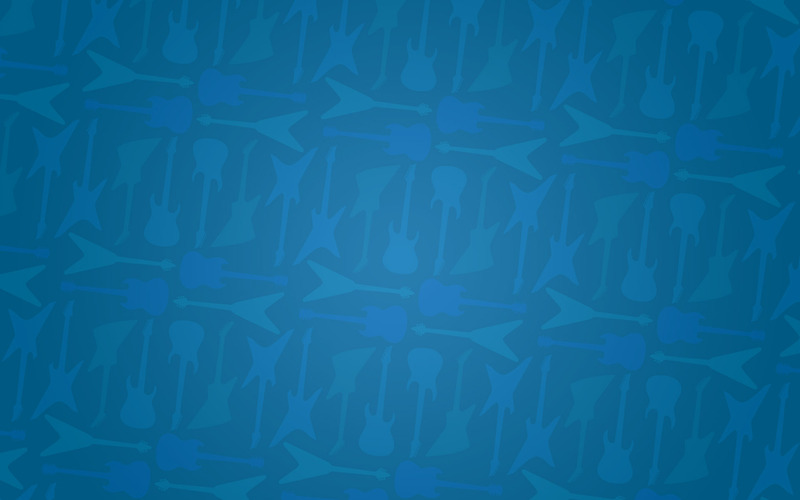 10 essential chords every guitarist must know. 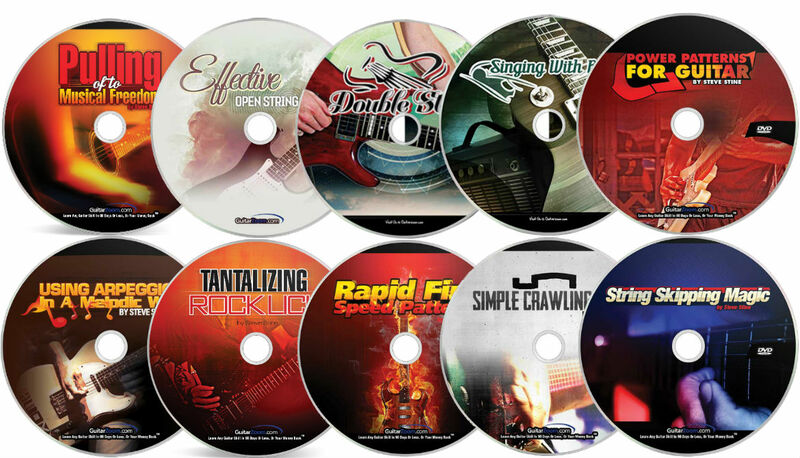 So you can instantly play along to your favorite rock, pop, metal and blues songs. 1 easy way to instantly lock into the tempo of a song, so you never miss a beat again. 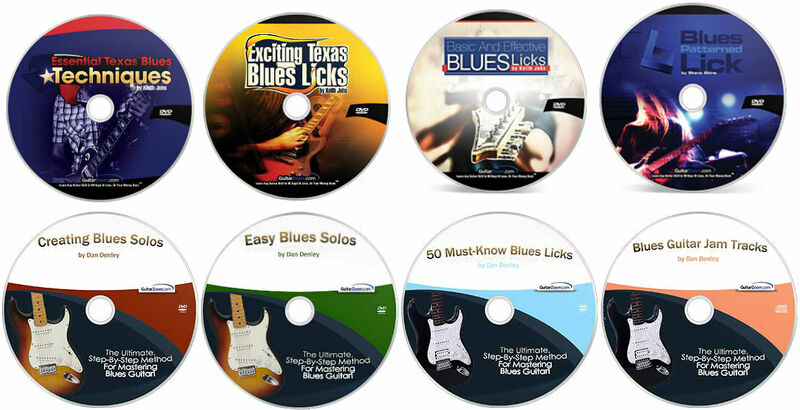 50 awesome blues licks in the style of Muddy Waters, Elmore James, Billy Gibbons, Joe Bonamassa and other legends. 4 critical skills used in Texas blues: double stops, trills, rhythms and vibrato. So you never play a lifeless blues solo again. How to connect the dots with scales and patterns. So you can play soulful blues solos without any hesitation. How to play acoustic blues guitar like Robert Johnson, Blind Lemon Jefferson and Mississippi John Hurt. So you can play hundreds of old time guitar and Delta blues songs. 3 critical fingerpicking patterns that make it easy to play your favorite ragtime and country songs. 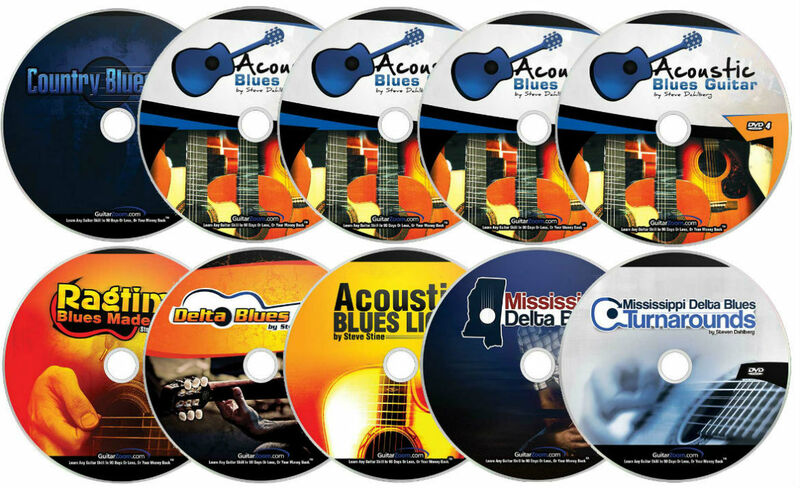 Easy and effective Delta blues turnarounds that add the icing on the cake to your acoustic blues solos. 2 simple tricks to overcome weak hands and fingers. So you can strum songs comfortably and play them the whole way through. 17 awesome slide licks in standard tuning made famous by guitarists like Duane Allman, Elmore James and Billy Gibbons. 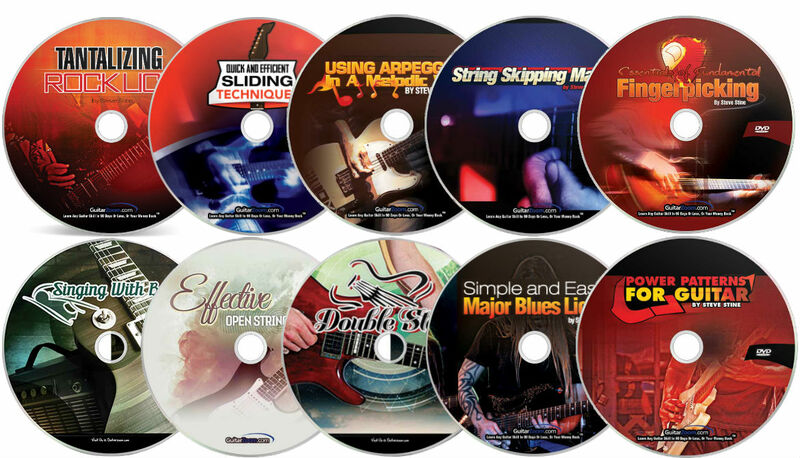 So you can start building an arsenal of slide licks to use on-demand. How to pick the best slide guitar gear for your playing, like what type of slide and strings to use. And tips on setting up your guitar for slide.